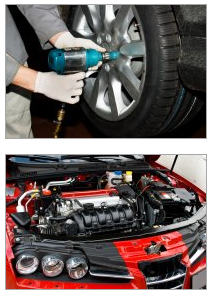 Professional Car Servicing and Repairs in Sheffield. Welcome to Ranmoor Motor Company! Have you been searching for a garage that can carry out professional car servicing and repairs in Sheffield? If you have, then please look no further than the expert services of Ranmoor Motor Company Ltd; a family-run, friendly garage with over 86 years of specialist experience to rely upon, offering services such as MOTs, vehicle repairs, general servicing, air conditioning servicing, and autodiagnostics. Our sole workshop is located in Fulwood. We are based in Ranmoor, but draw customers from many of the surrounding areas to use our second to none garage and repair services. We provide our outstanding services to anyone who requires vehicle repairs, car or van servicing or new air conditioning fitted and checked. We are more than sure you will not be let down by the quality services we have to offer here at Ranmoor Motor Company Ltd, so pick up the phone and give us a call for vehicle servicing and repairs in Sheffield. Here at Ranmoor Motor Company Ltd, we take enormous pride in the first-rate services, and second to none customer care that we offer to each and every one of our customers. Being a family run company, we know how important is it to work alongside the customer, to offer that friendly and personal touch. All of our prices are highly competitive and we ALWAYS work to the highest of standards, never cutting corners. 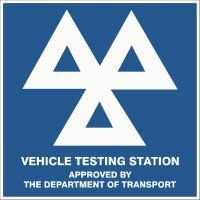 Just for your peace of mind all our mechanics are also fully trained and fully qualified and we are VOSA registered as well as being a member of the Retail Motor Industry Federation (RMI) and Federation of Small Businesses (FSB). So, if you require new brakes in Sheffield, be sure to call upon the experts here at Ranmoor Motor Company Ltd. You can get in touch with us by calling on 0114 230 1038, or by sending us a message through our helpful 'Contact Us' page and we will be back in touch as soon as we can. Don't forget; for highly skilled car servicing in Sheffield, make Ranmoor Motor Company Ltd your first choice today.